Do not be deceived by our simple UI. Our web application is the most advanced and stable tool available in the market that gives you the power of visual database design online. Our user interface may look simple but it is fully-featured and powerful. Fast and ridiculously easy to use with every feature you can possibly need. Reduce errors and save time. Import an existing database or start from scratch. 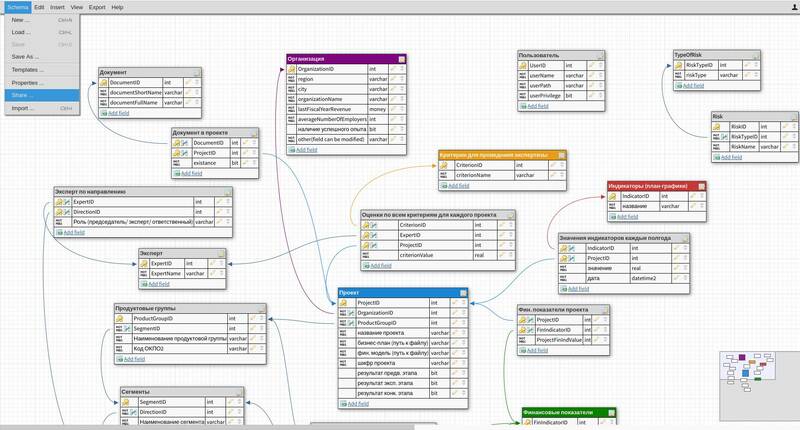 Generate a script for every major database engines with one click. Invite and share access (Owner, Editors, Viewers) by simply providing team member's email. Work on the model at same time. Use live comments/chat to collaborate with your team. Fast navigation. Keyboard shortcuts. Instant save with history. Copy & Paste. Undo & Redo. Cloning. Live validation. Automatic layout. Notes & Comments. Automatic sorting and layout. Grid view. Bezier or Cornered line type. Change table and line colors. 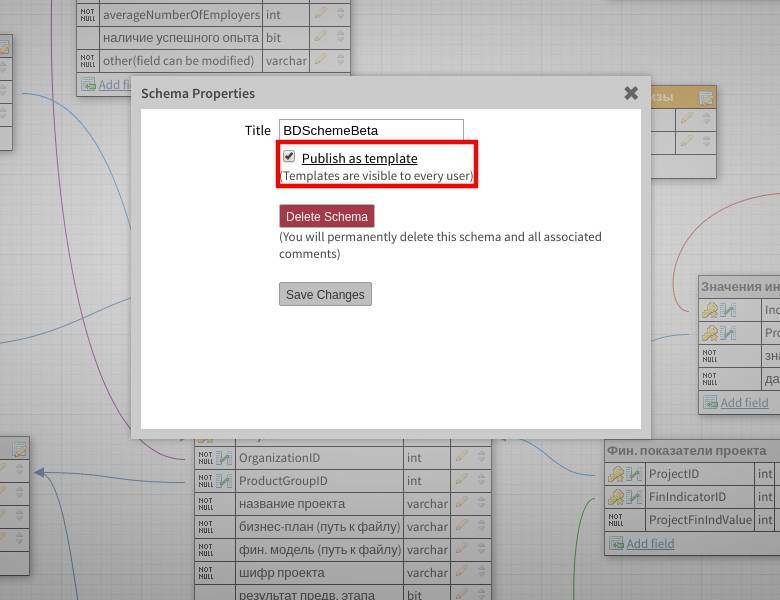 Option to show/hide default values, foreign key icons, columns, indexes etc. Many more features including hundreds of ready made templates of various sizes in multiple industries to help you save time and get you started even with no experience. 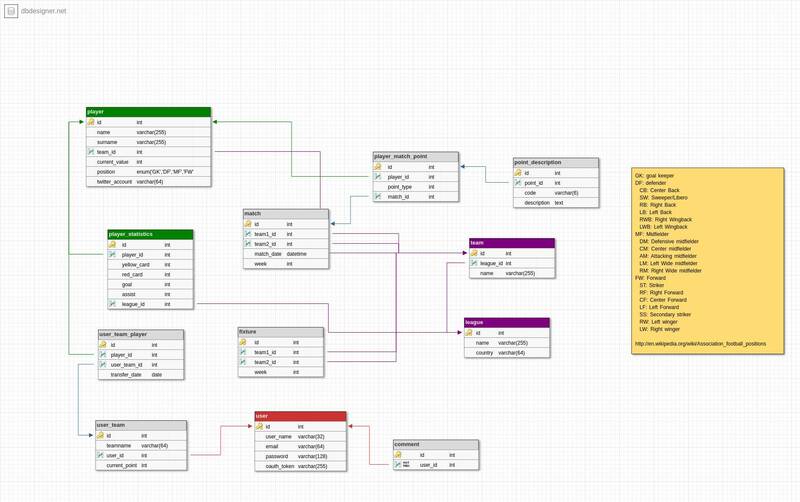 No matter the size and needs of your project, from simple schemas to database models with thousands of tables, DB Designer has you covered. Please Login as Guest User to check out all our features. Founded in 2006 by a diverse team of engineers and developers, DB Designer has been in the database modeling business longer than any of our competitors. During this time we have built the most advanced online database modeler loved by more than 40,000 organizations, from leading government agencies to enterprise-class firms to smaller-sized companies and more than 100,000 freelancers and developers but we are most proud of our "Academic Initiative" which provides free access to educators and students around the world. We are honored to be academic partner of 278 universities and colleges around the world in which more than 2000 professors have instructed 50,000+ students in database related subjects using DbDesigner online database modeler since 2006. Why Everyone Loves DB Designer? Here are the top reasons why we are better than our competitors. We have been helping users design databases online since 2006 - longer (and better) than anyone else. Our focused expertise and long track record is why we are trusted by some of the largest organizations and companies in the world. Over the past 13 years DbDesigner has been perfected through feedback and feature request from hundreds of thousands of users. No matter the size of your project, our online db modeler offers you everything you can possibly need to design your database online. Advanced collaboration and sharing tools can accommodate everyone from enterprise-class firms to individual freelancers. We built DbDesigner to help others like us, not to get rich. This is why, we continue to offer a generous free plan and despite our superior features, our premium plans cost lot less than our competitors. Don't take our word for it, do your own research. If you find a competitor charging less than us for a comparable plan and features. We'll upgrade you on that plan for free! Our "Lowest Price GUARANTEE". We have renewed our commitment to offering the best customer service experience for all our users but especially for our premium users. If you cannot find an answer to your question in our knowledge base then simply open a ticket and we'll respond within 1 business day or less. Premium users have access to live chat and phone support for instant help. I am an assistant at the University of Zurich where I help students with the management of the data they collect during their Masters and PhDs and have therefore been enjoying your software for a few months already. Seen that I am a biologist and not a developer much of my database designing skills are acquired through a long process of trial and error and I really enjoyed the speed and simplicity that dbdesigner brought into my work. I just wanted to say thank you. We have been using dbdesigner for past few years on a daily basis and it has allowed everyone on our team to save time. Simplicity of your modeler allows us to involve non-technical managers in the process and get timely feedback. We really appreciate all the useful features which have helped us complete hundreds of projects and made maintenance or revisions super easy. DBDesigner was the first one of it's kind and still the best out of all. Easy and straightforward to use compared to other similar services and products. I am a fullstack software engineer and having the right tools with good looking UI is very important to me. I would have been happy to pay long time ago and I am not disappointed you are limiting the free plan. None of the similar products have all the features DBDesigner has and yet they cost lot more. Upgrading my account now, this is well worth the price.